In the 1999 film "The Matrix," the lead character, Neo, encounters a teenage boy effortlessly bending and modifying the shape of a spoon with only his mind. When Neo unsuccessfully attempts to do the same, the boy advises Neo that bending the spoon is impossible. Instead, he should try to realize the truth, that "there is no spoon," and "it's not the spoon that bends, it is only yourself." Similarly, consumers are gradually coming to the realization that there is no cord. As more and more consumers grow increasingly discontent with rising cable costs and channel packages that don't align to their preferences, cable companies are seemingly attempting to resolve the issue by doubling down on the very same legacy business practices consumers are rejecting. With that said, where do you get your television shows and movies? If you answered Netflix, Hulu Plus, or any other online streaming service, you're certainly not alone. In fact, a recent ComScore survey found that 24% of TV viewers ages 18 to 34 don't subscribe to a traditional pay TV service. Nearly 46% of those viewers indicated that they never even had cable to begin with, while the rest simply cut the cord. The fact of the matter is, traditional TV is being replaced with video on demand (VOD) applications at a very rapid rate. This shift is fueled in part by ubiquitous connectivity, internet bandwidth improvements and a proliferation of online content providers. For the IT industry, this shift in content consumption represents a tremendous opportunity, but also a number of challenges. High-definition content takes up a lot of space. 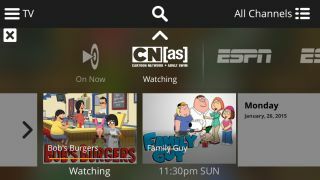 With the growing number of users cutting the cord – and the high demand for content that needs to be stored online – we must consider that it will not only affect the service of internet providers, but the big data houses that store this content and their ability to meet the current and emerging demands of viewers. Furthermore, cable is extremely reliable and can consistently deliver high quality, regardless of the package purchased by the consumer. The same can't be said for internet service. With the internet, there is a direct correlation between the internet package purchased and the consumer's viewing experience. Higher cost internet packages provide a better viewing experience, while lower cost packages can subject consumers to frustrating buffering delays, poor video quality and other random streaming errors. This is a challenge for consumers who reside in distant or rural suburbs where only low speed packages are available. As this cable-cutting phenomenon continues, CIOs and IT managers will face the challenge of adjusting their infrastructure to have the ability to store an exponential amount of growing data, large format content, and the capability to deliver HD content consistently and reliably to consumers with varying types of internet connections.